Last May we reported that one of Jupiter's gas "belts" had disappeared, baffling scientists. Well, no need to fear because the belt has returned! The stripe's disappearing act in May was most likely due to clouds shifting altitudes, with white ammonia clouds obscuring the clouds below. 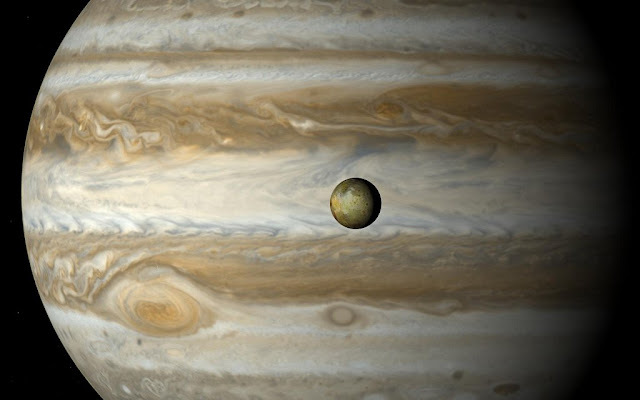 This phenomenon has allowed astronomers to study the weather and chemistry of the gas giant's atmosphere. In addition to the return of the belt the planet's "Great Red Spot" had darkened, but astronomers say it will now lighten again as the belt re-forms. The stripe has come and gone several times in recent decades but the mechanism by which it returns remains mysterious.